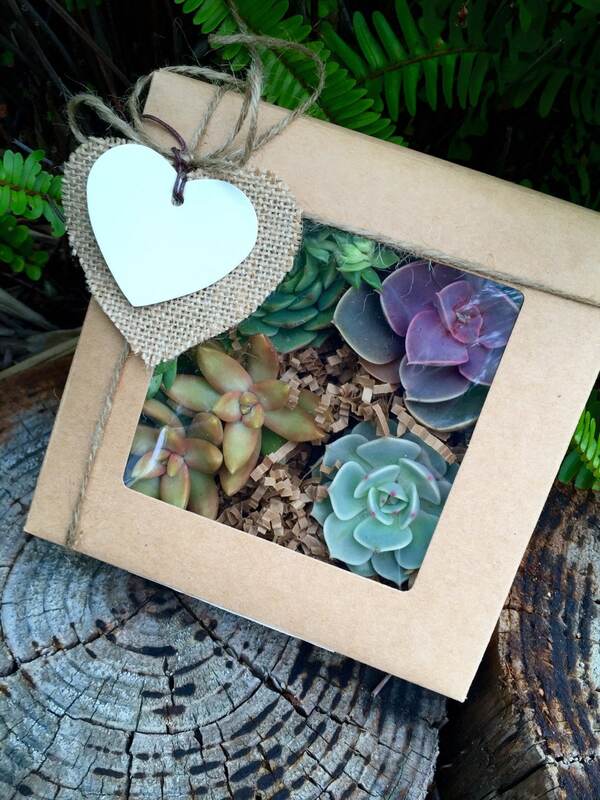 Succulent Treasures Gift Box. 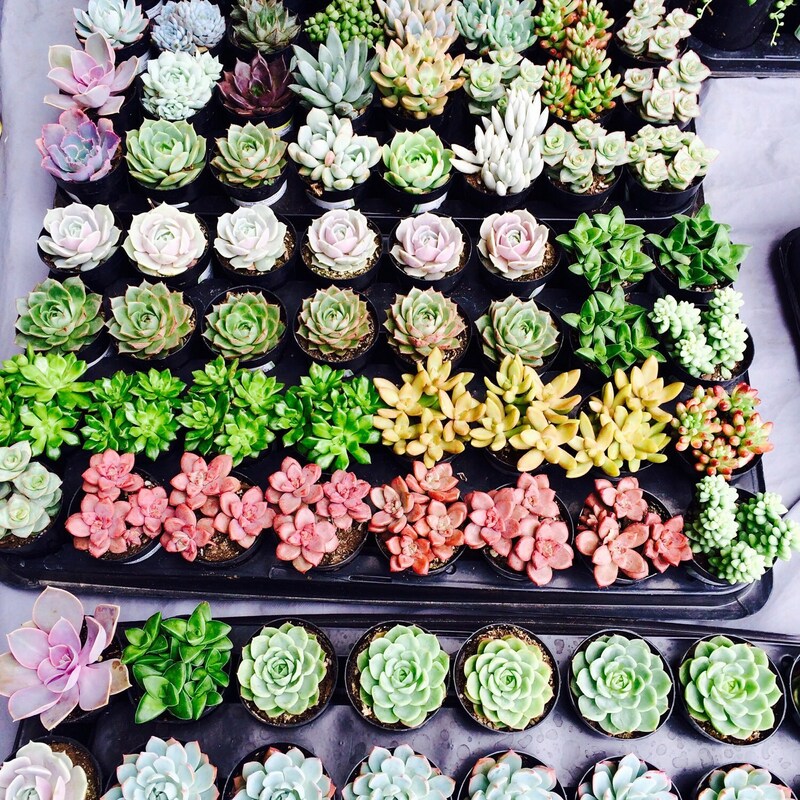 Four Assorted Premium succulents Valentine's Day Gift. 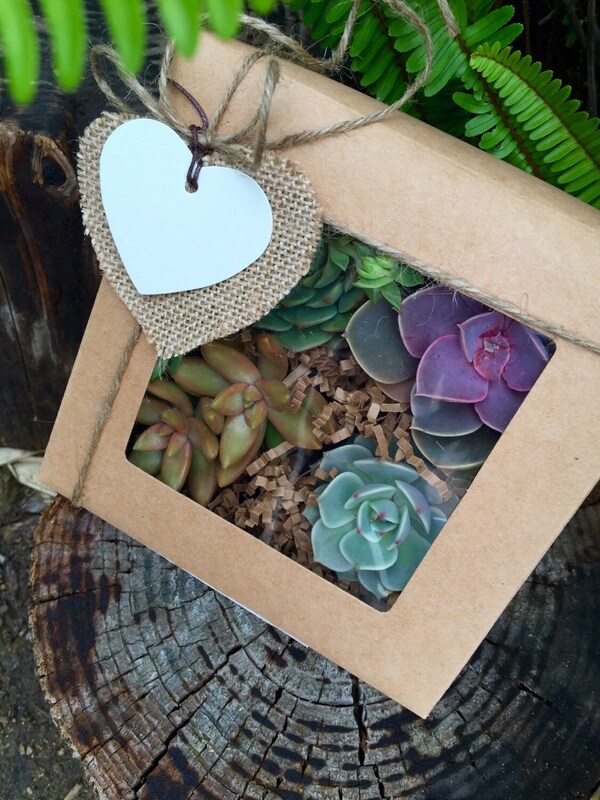 Succulent Treasures Valentine Gift Box. 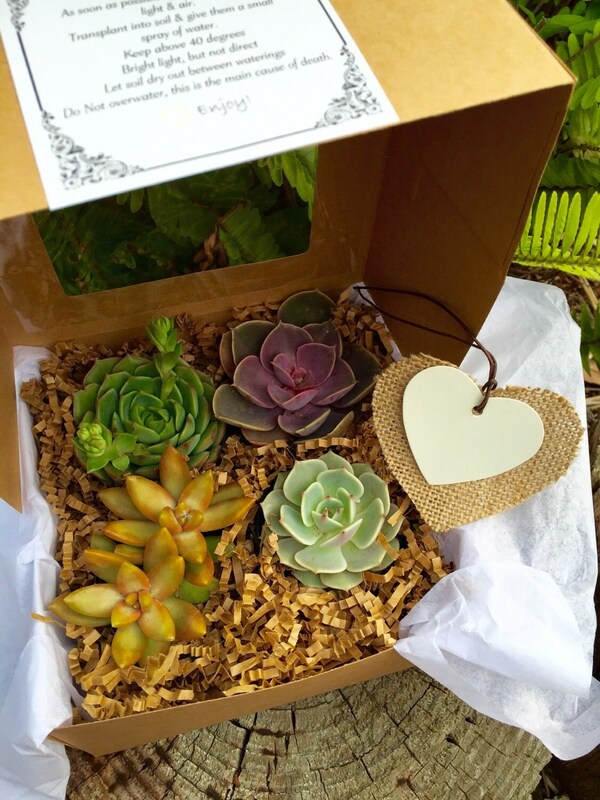 Four Assorted Premium succulents Valentine's Day Gift. 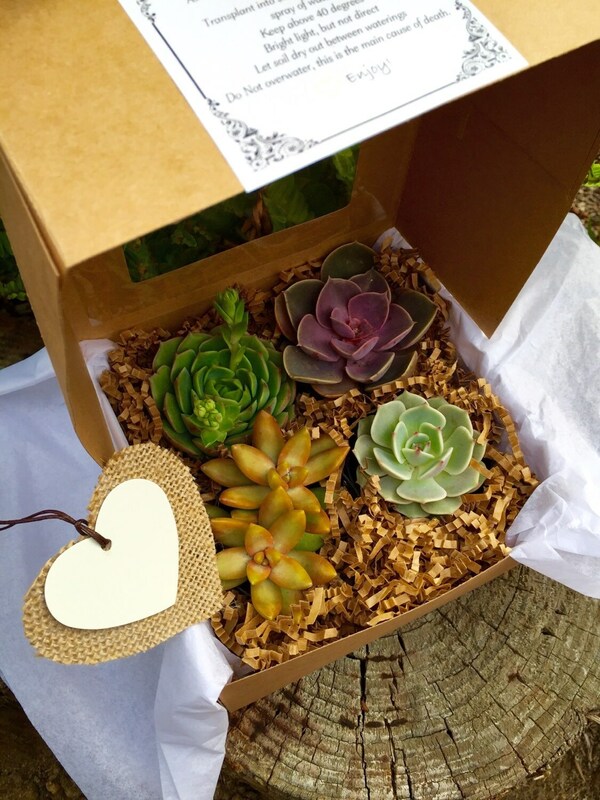 Each Kraft Display box includes four 2 1/2" inch succulents in the cute Kraft display box. Each box is tied with a ribbon tied with a customizable White and burlap Heart gift tag.